A long-time client of mine hired me to do a number of different jobs while they were out of town. 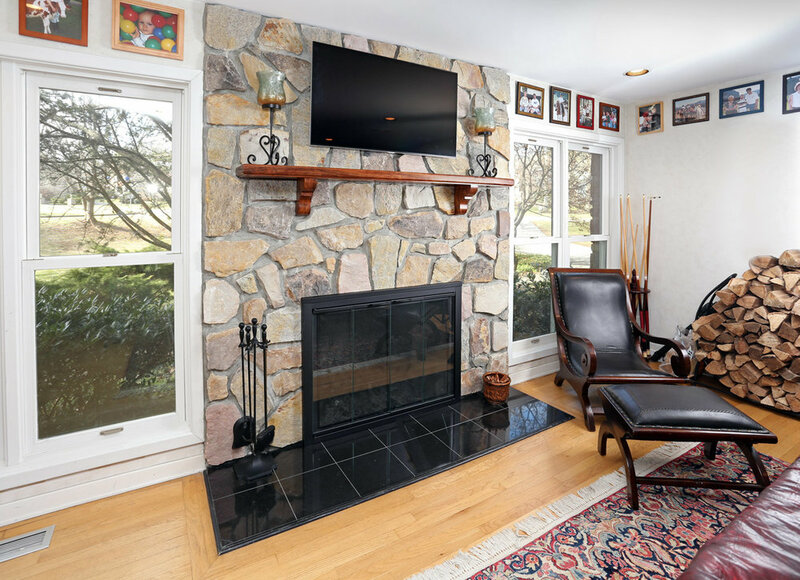 One of the projects they gave me was to renovate their fireplace and give it more of a rustic feel. A shot of the completed project. We installed new cables and a mount for the TV, new fireplace doors, veneer stone to match the exterior of the home, and a custom made cherry mantle. 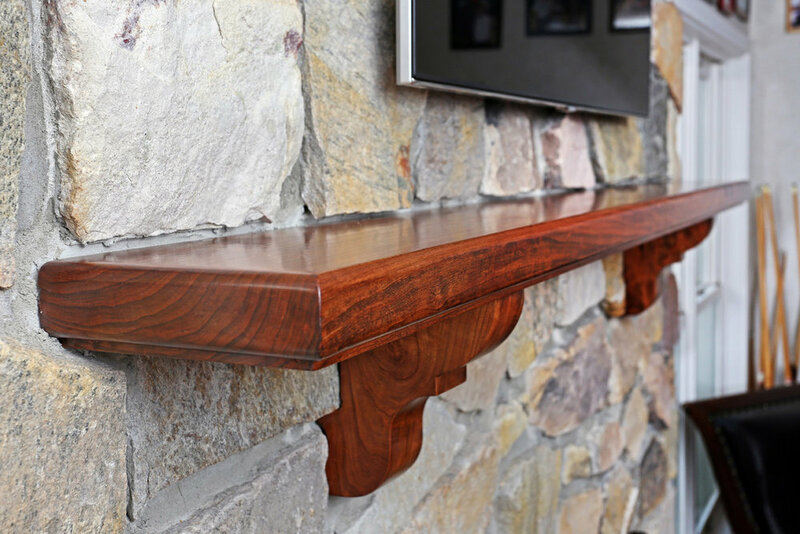 The mantle and corbels were fabricated from a single cherry slab. The original slab had a split in it which I included in the mantle by filling it with a structural epoxy that dries clear.